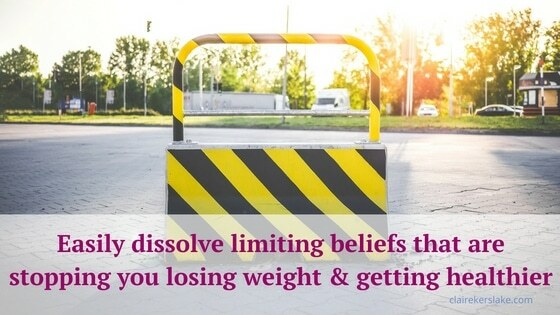 Whether you want to release some weight, clean up your diet or get fitter and healthier, you’ll often come up against beliefs that are stopping you from achieving your goals. In the video blog today I delve into how we can rid ourselves of beliefs that no longer serve us, PLUS I have a downloadable worksheet for you, so be sure to grab that! Many of our beliefs are unconscious – we are simply not aware of them. That doesn’t lessen their impact on our lives. We seem to pick them up along the way, whether from parents or life experiences. If you come up against some resistance, it may be related to a belief that you have that you’re unaware of. Be willing to look a little closer and uncover it. If you’ve uncovered a belief that no longer serves you, what then? Sometimes this is when we might see a professional counsellor or therapist to help us to work through the issue and develop new beliefs that serve us better. This is especially so if your belief has developed after a traumatic event in the past. Don’t hesitate to seek this help, if you need to. Many people, though just need a simple process to follow to change the belief. 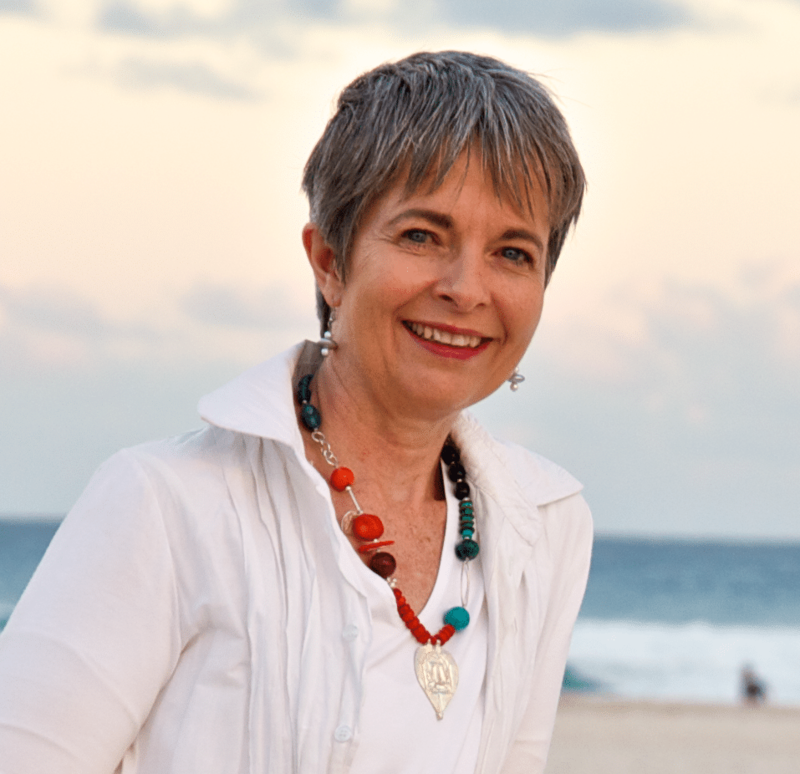 Sarah Edelman, author of ‘Change Your Thinking’, describes a range of strategies to dispute old beliefs that may be keeping you ‘stuck’ and replace them with different beliefs or new ways of thinking that serve you better. I’ll work through an example from my own life so that you can see how to apply them. For the longest time, I held the belief that exercise was a struggle. This belief had me looking and acting like a couch potato in between multiple attempts to start exercising, only to stop a short time later having failed yet again. It was a really painful place to be. I felt guilty, lazy and suspected that there must be something wrong with me. I knew what to do – I just wasn’t doing it. Intrigued, I decided to give it a go. I made up a mantra ‘Exercise is easy’ and repeated it often. At first it was said through gritted teeth but over time became the new norm for me! It has made all the difference and exercise is now a part of my life. At the time, I hadn’t learned about the strategies involved in changing a belief and was just lucky enough to stumble upon something that worked. Let’s break down how we could change the belief ‘Exercise is hard’ by using the strategies described above. An example of goal-directed thinking is to ask yourself ‘Does thinking this way help me to feel good or reach my goals’? Thinking that exercise was hard definitely didn’t make me feel good or help me reach my goals! When we question the belief we challenge underlying assumptions and see if the belief has any logic to it. • Why is it hard? • What would make it easier? • Just because I prefer things to be easy, why must everything feel easy? • Is there anything I can do to make exercise easier? • Is my thinking making things harder? • And an oldie but goodie ‘Just do it’! Write down the statements that really resonate with you and read them often – at least twice a day. Stick them around the house (if that works for you) or in your diary. Or you could write them on a vision board or on your screensaver. I’ve even written some statements as reminders to pop up on my phone through the day. Be creative! Tara Sophia Mohr talks about ‘acting as if’ the new belief is true. You don’t actually have to believe that the new belief is true, instead act as if it were and see what happens. Great advice. Make believe can make magic happen. EFT is a very strange but remarkably effective tool for dissolving limiting beliefs. It’s been called acupuncture without the needles and I use it most days in my own life. Click here to see my amazing kinesiologist Kerry Rowett from Awakenkinesiology.com describe and demonstrate how to use EFT for dissolving limiting beliefs. Now it’s your turn. Click on the link below to download your ‘Change Your Beliefs’ worksheet so you can get a start on dissolving those limiting beliefs and you’ll also be signed up to receive more freebies and blog posts as they’re released. Great article Claire! I am going to try your exercise is easy mantra. I also like thinking about how exercise makes me feel. Thanks Caroline! 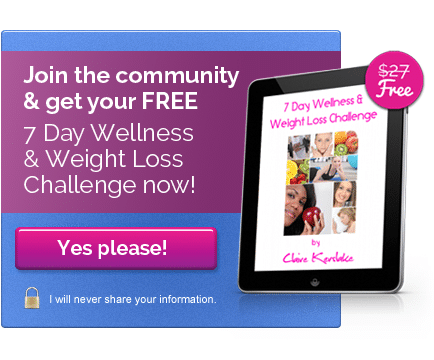 I’ve found EFT really lifechanging – I’d love to know how you go with it!